This post is the sixth post in the series ‘The Story of Thai Democracy’, where I’ll be covering the political history of Thailand since the transition from absolute to constitutional monarchy. You can read the previous posts in this series here. 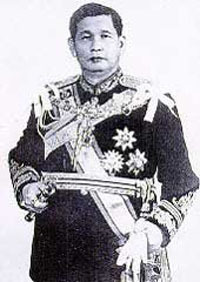 Sarit Thanarat was quite different from his predecessors as prime minister. He grew up in the northeast, which was unique for Thai political leaders at the time. Unlike the cultured members of the Khana Ratsadon, he had not had a chance to study abroad due to the economic depression of the 1930s. Instead, he had spent virtually entire his career in the Thai military. As such, he was never as exposed to the great European traditions of liberalism and democracy as Pridi, nor to foreign styles of ruling such as Phibun’s fascism. He fitted more into the mould of the Thai thug: the “nukleng“. He, in essence, was the personification of tough Thai masculinity. His direct talk and perceived toughness would immediately make him popular with the people when he removed Plaek Phibulsongkram. The legitimacy of his rule would also be undoubted, for after explaining his actions to King Bhumibol Adulyadej, he had been granted the title of ‘Defender of the Capital’. Yet, despite attaining both popularity and legitimacy, Sarit initially felt it would be unfit for him to become prime minister, for he did not want to be seen as grabbing power from himself, and his various sicknesses meant he needed treatment abroad. He instead handed the role to a civilian, Pote Sarasin, but Pote quickly resigned, most likely because he was unhappy with Sarit’s powerful influence. …the fundamental cause of our political instability in the past lies in the sudden transplantation of alien institutions onto our soil without careful preparation, and, more particularly, without proper regard to the circumstances that prevail in our homeland, the nature and characteristics of our own people…If we look at our national history, we can see very well that this country works better and prospers under an authority- not a tyrannical authority, but a unifying authority around which all elements of our nation can rally. An authority was needed, and Sarit decided only he could be this authority. Thus Sarit launched a second coup on October 20, 1958 and became prime minister in his own right. It was a chilling coup. Sarit scrapped the constitution, banned political parties, and made mass arrests of newspaper editors, political opponents and intellectuals. He was cheered on by the United States; the State Department called the coup “an orderly attempt by the present ruling group to solidify its position”. Sarit had indeed managed to solidify his position to the point of establishing the most authoritarian dictatorship since the start of Thailand’s democratic period. the members of the Constituent Assembly are not inferior to [elected] MPs of any previous parliaments. We work with honesty, scholastic competence, and just-decision making that is not under the influence of any private party and does not have to demonstrate personal heroism for the purposes of future elections. And so Sarit began his direct rule. He first increased his popularity through despotic benevolence by means of populist policies. Electricity rates were cut, flea markets were set up, tap water was given for free and school tuition rates were reduced. But Sarit’s rule was not about populism. It was about orderliness. He became obsessed with clean streets. Opium trading was eradicated. He began a programme of mass arrests of street thugs and prostitutes who would be enrolled in reformatory institutions. A cultural conservative at heart, Sarit even arrested people who did things he deemed ‘non-Thai’- wearing tight pants, for example. Sarit was also heavily involved with firefighting, personally supervising firefights in Bangkok and ordering the executions of numerous arsonists. Most importantly, Sarit began a witch-hunt for communists; anyone who disagreed with his policies were labelled communist and arrested. His power was enabled by a clause in the constitution, Article 17, which essentially gave Sarit unlimited power to do what he wanted. This dictatorial power was excused by his personal slogan: “I and I alone will take responsibility for my actions”. In addition, Sarit had been influenced by his learning about the kings of the ancient kingdom of Sukhothai, who had ruled as a father might take care of his children; Sarit would therefore be a paternalistic leader. “The prime minister,” he said, “is the father of a large family”. With his background from the provicinal Northeast, Sarit did not neglect the provinces and made personal tours of the provinces. He also emphasised the concept of development. Another of Sarit’s slogan would be “Water flows, electricity is bright and the streets are good”. After a World Bank visit, Sarit launched Thailand’s first five-year development plan in 1961. Again, Sarit deviated from the policies pursued by Pridi and Phibun: he disagreed with the state-led development plans of the 1930s. Instead, development was to be reached through “the encouragement of economic growth in the private sector”. Sarit also collaborated closely with the United States, and funding continued pouring in especially as the war in neighbouring Vietnam escalated. In 1963, American aid to Thailand would total $43 million. As a traditionalist, Sarit was extremely loyal to the monarchy. During his time as prime minister, King Bhumibol would restore the Royal Ploughing Ceremony, and National Day would be changed from the date of the 1932 revolution to the king’s birthday. Sarit also realised that he lacked the skills and interest for diplomacy- the United States had initially dismissed him as a vulgar drunkard- and so he requested that the king visit foreign nations to boost Thailand’s profile abroad. Sarit would officially be prime minister for four years, although his influence since the coup of 1957 would mean he dominated Thailand for six. Sarit was always a heavy drinker, and his health problems worsened over the years. It was said that by the end, he could only drink orange juice and eat various types of nuts. By December 1963, he was dying of liver failure. On December 8th, King Bhumibol visited Sarit on his deathbed, and Sarit, in a final show of loyalty, asked to place the king’s hand on his forehead. Later that day, Sarit died. He would be the only Thai prime minister to this day to die in office. At this point, we’re now halfway through this series. This makes me think that it is a convenient point to reflect on the story of Thai democracy so far. What we can already readily observe in the first three decades since the 1932 revolution is the constant pattern of coup and countercoup and the alternating of short-lived civilian prime ministers and military regimes. But of all the figures involved, the two most important figures of early Thai democratic history were clearly Pridi and Phibun. Pridi had been the intellectual force behind the 1932 revolution, although his economic missteps would lead him to be sidelined relatively quickly. Yet he still returned to power to deal with the aftermath of the Second World War and had attempted to make Thailand a more liberal, democratic country. Phibun, on the other hand, was concerned more with Thailand’s modernisation and attainment of great power status; he never had much time for democracy. But his actions, whether they be his disregard for constitutional norms or his eccentric cultural mandates, would influence Thailand for decades to come. Sarit’s rule had not lasted as long as Phibun’s, but that does not diminish his importance in Thai democratic history. First, Sarit decisively eradicated the last remnants of the Khana Ratsadon. His vision of the country- one that returned to embrace its traditional roots, with a paternalistic, iron-fisted leader- was starkly different from Pridi’s or Phibun’s. His so-called “revolution” in 1958 made democratic Thailand more authoritarian than ever. He also began an important trend in Thai history: claiming that there needed to be a unique “Thai style” of democracy that fit with the needs of the country. (His rule, however, would barely have any hints of democracy in them). Yet the stability of dictatorships such as Phibun’s and Sarit’s came with a high human cost. Phibun consolidated power during his second premiership only through the murderous police general Phao Sriyanond. Sarit, on the other hand, instilled fear in the population through public executions and mass arrests. His power was absolute, and although he claimed that he would be responsible for his actions, who could hold him accountable? It was into the hands of his predecessor, and now successor, Thanom Kittikachorn, that the machinery of Sarit’s authoritarian government would fall. But Thanom was only a shadow of the dictatorial Sarit, and his attempt to exercise Sarit’s powers would end in tragedy. In the next post, I’ll be covering Thanom Kittikachorn’s time as prime minister and how it resulted in the twin tragedies of October 14, 1973 and October 6, 1976. 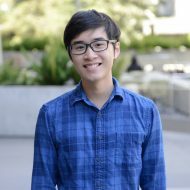 Pingback: Defining ‘Thai-Style Democracy’ – Ken L.